The printable Table of Contents coordinates with preprinted tab titles. Two-in-one tabs provide choice of portrait or landscape format. The fastest way to organize with impact! The tabs seem to be attractive and are clear, concise, and understandable to users. They are easy to use. These dividers make any presentation to be professional looking. The font which you print into the sections can be made large enough to be read easily. The number of sections is not overwhelming, and the tabs make it easy to find what you need. Very good product. Transcript: This is the Avery 1-15 tab 11" x 8.5" Classic Black and White Dividers! There is a label sheet to be placed before the tabs. This is a standard sheet to write on. This way you don’t have to flip through to find the right section. The tabs are labeled 1-15 on both the front and the back. 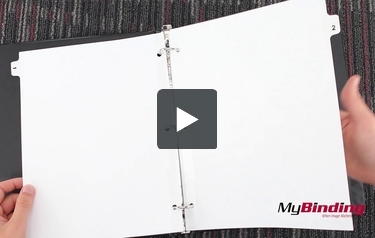 This is the Avery 1-15 tab 11" x 8.5" Classic Black and White Dividers! Each tab is reinforced with a clear coating. This extends out along the page for several centimeters. The holes are reinforced with this same coating.